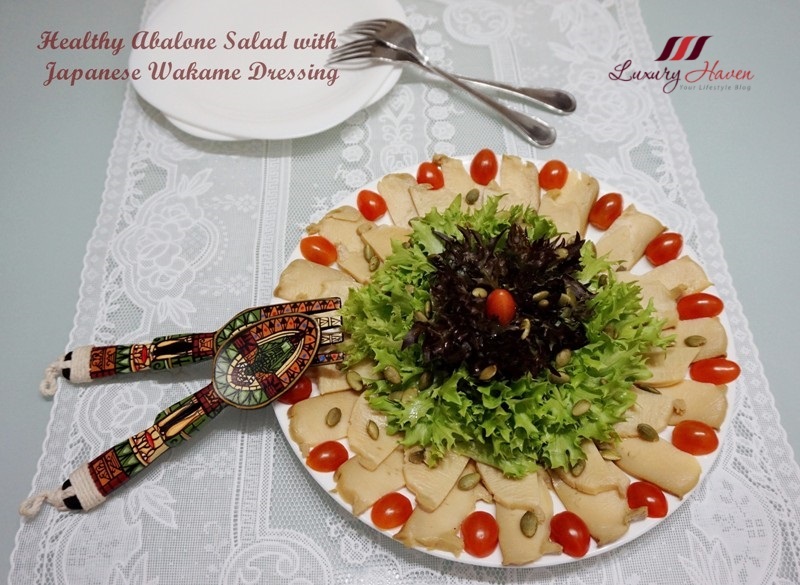 This was another Abalone Salad I did the next day, but with Wasabi Cream instead for delivery to my mom's place; recipe will be out in another post. 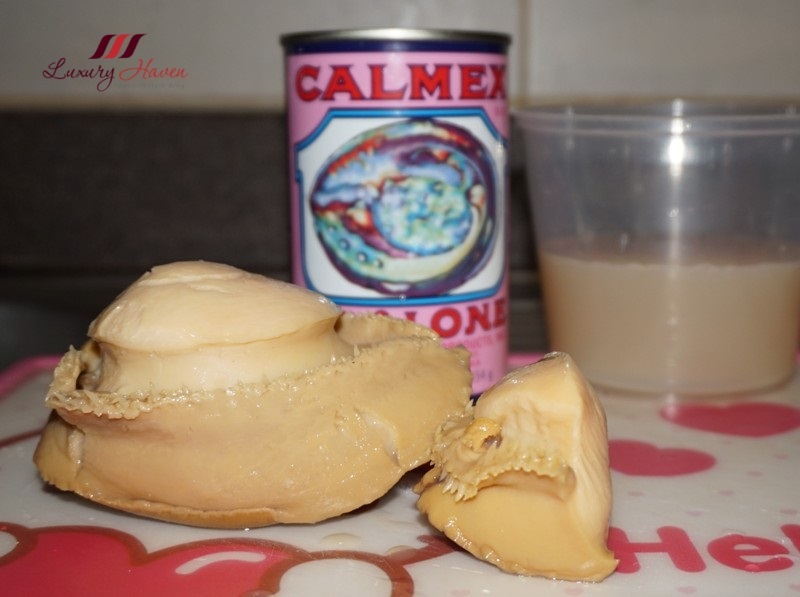 So How To Tell Authentic Calmex Abalone From Fake: Given the high price, there are fake Calmex abalones floating in the market. 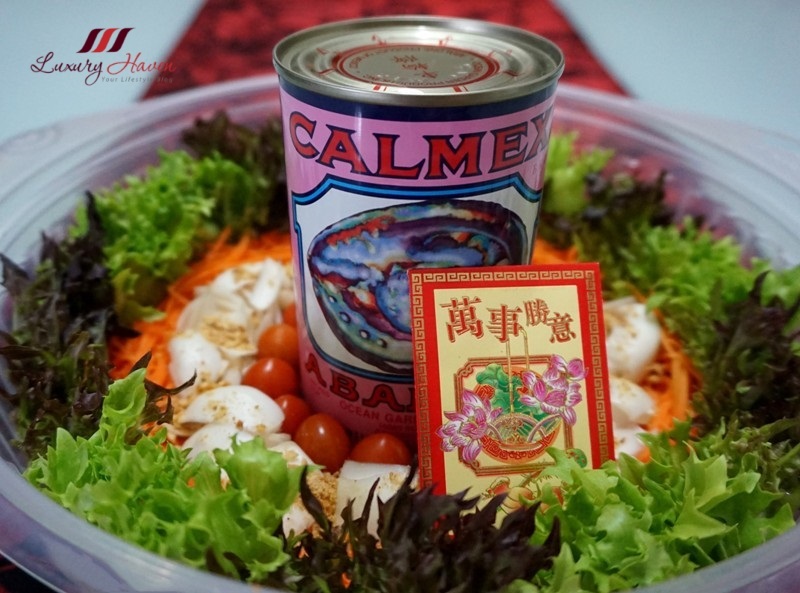 It is good to note that high-grade abalones like Calmex have their labels printed directly on the tin, while the the counterfeit ones use paper wrappings. You can see from the photo above that both the top and side labels are clearly printed onto the tin itself. What's In The Can: The Calmex Mexican Canned Abalone has a net weight of 16oz or 454g, and contains 1 whole abalone and a cut piece. That evening, hubby and I had a very light dinner. 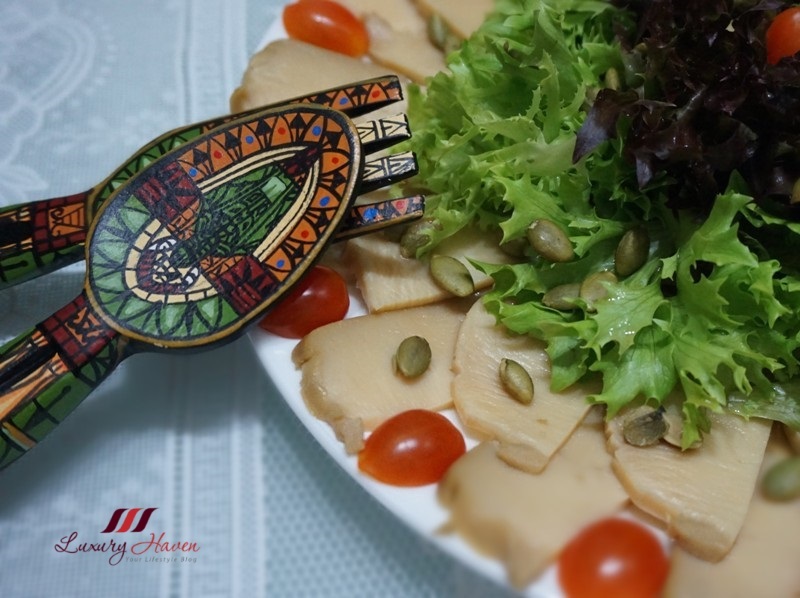 Just a Seafood Bisque and the Calmex Abalone Salad with Japanese Marutto Wakame Dressing ( 三陸まるっとわかめドレッシング ) I got from the IN:FUSE Event by JETRO I had attended recently, that’s it! Sometimes, you just wanna have something not too heavy for dinner. 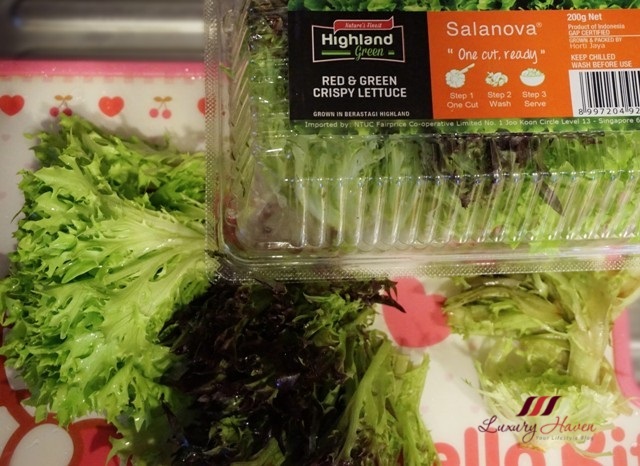 To have a nice combination of greens, I bought the Salanova Red and Green Crispy Lettuce, and Cherry Tomatoes. I also sprinkled some Pumpkin Seeds for an added crunch! Let’s check out the healthy recipe! Slice abalone and start plating. Place the bits and pieces of abalone in the center. Wash and cut tomatoes into halves, and place on plate. Drizzle salad dressing and abalone stock. Cut off ends of lettuce. Wash and arrange lettuce in the center, and top with a cherry tomato. 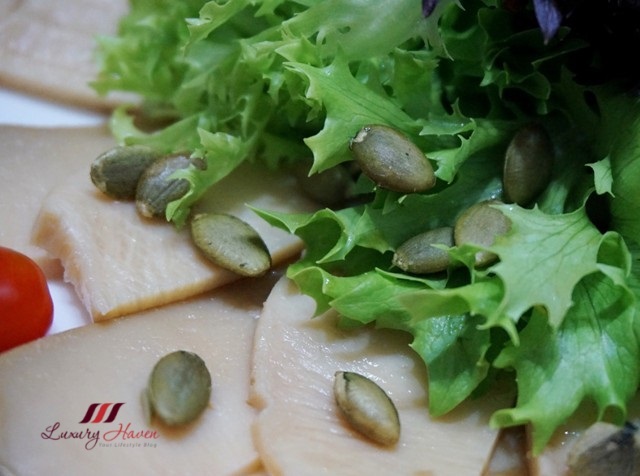 Sprinkle pumpkin seeds and add more dressing if needed. 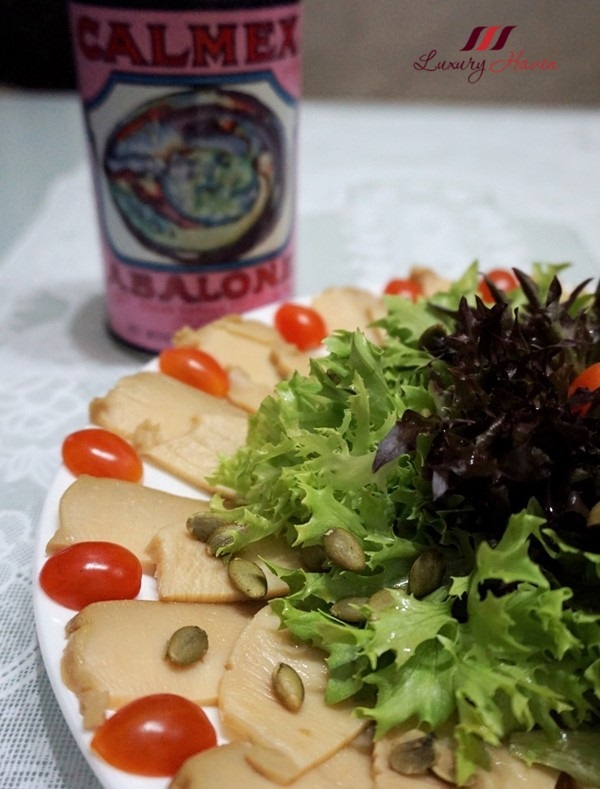 Enjoy your Calmex Abalone Salad with Japanese Wakame Dressing! 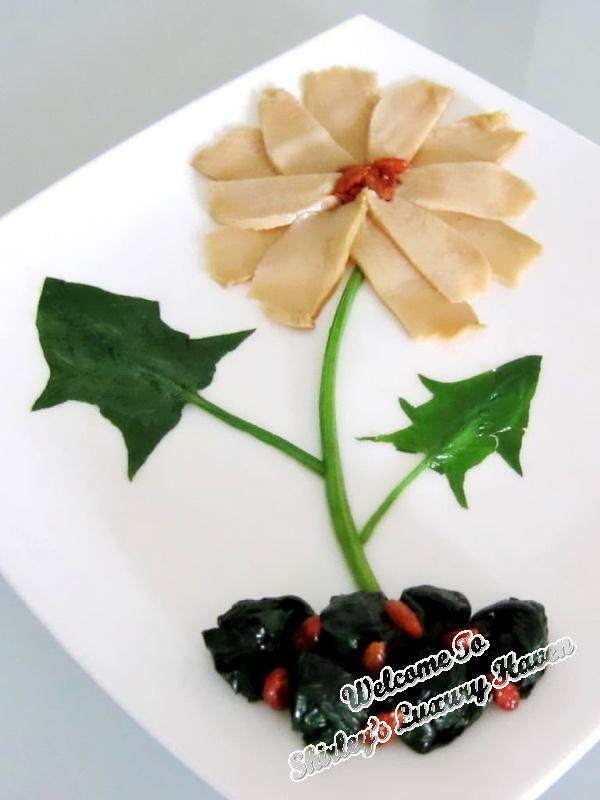 Surprise Mom With This Stalk of Abalone Flower On Mother’s Day! Oh-wow-walla. A royal meal. Just can't get enough of admiring it, obviously I am also hungry. 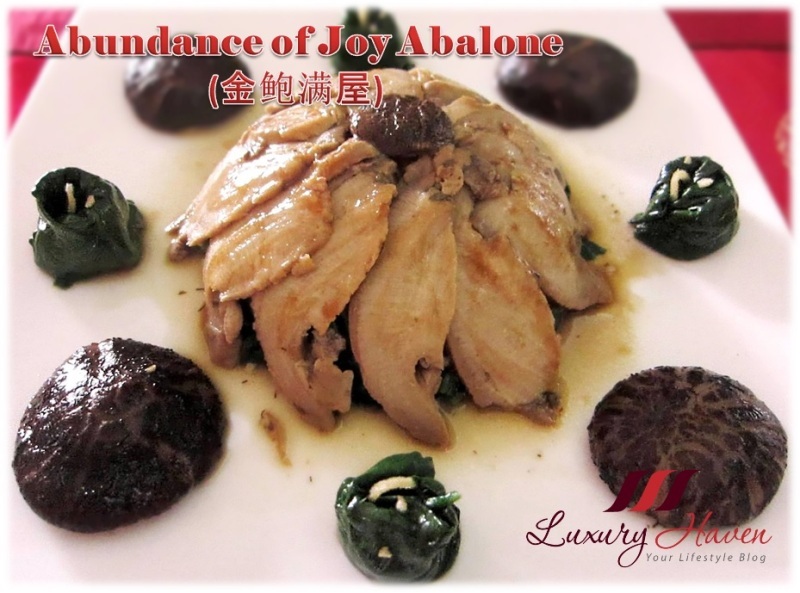 When come to assessing the authenticity of abalone, ask Shirley Tay - the abalone queen. You can't go wrong, can you? Lol! I had never heard of this before now, so thanks again for yet another interesting introduction Shirley! You have such nice friends!!! Your salad looks terrific!! I've never looked for abalone around here---now I'm curious if I can find it and what it costs! I don't think I could tell the real from the fake. Shirley, great tips for people like me. You sure eat lots of abalone. I have honestly never heard about that before! I remember this brand...my mom used to buy these...your salad looks great...very pretty and so delicious! A cara é muito boa! 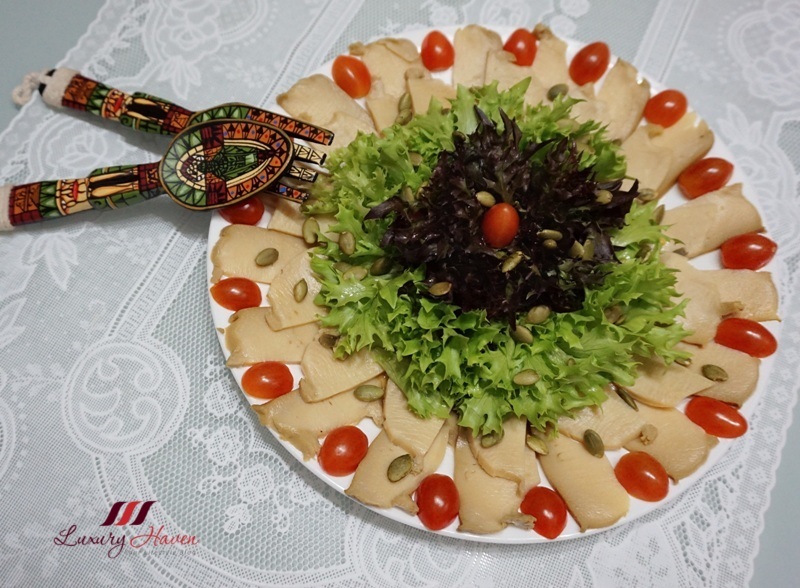 The plate of Mother's Day surprise is so creative. You are blessed with the bestest friends. yummy, I love sea food!